We invite you to visit us in-store, to find out, and enter our draw for the Grand Prize, or the second prize. Can you tell the Difference between a lab-created diamond, with identical chemical properties, and a mined diamond? If you can, you are entered to win a .10ct lab-grown diamond set in 14k white gold. (Retail Value $225). If you can’t you can still enter to win our second prize of a Gift Certificate for Gold Reflections. Gold Reflections is one of the only independent Jewellery Retailers of Lab-Created Diamonds in Durham Region. As one of the first retailers in Clarington and Bowmanville, we are excited to offer this product to our customers. Our contest continues until December 31st, In-Store Only. The Draw Winner for the Grand Prize, and the Secondary $25 Gift Card Prize will be announced in January. 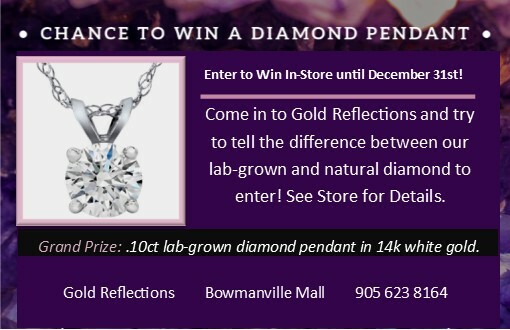 Those who do not accurately guess the difference between the lab-crated diamond, and the mined diamond, will be automatically entered to win a $25 Gift Card for Gold Reflections. You must provide an email, and contact information to be entered. One Entry Per Person. 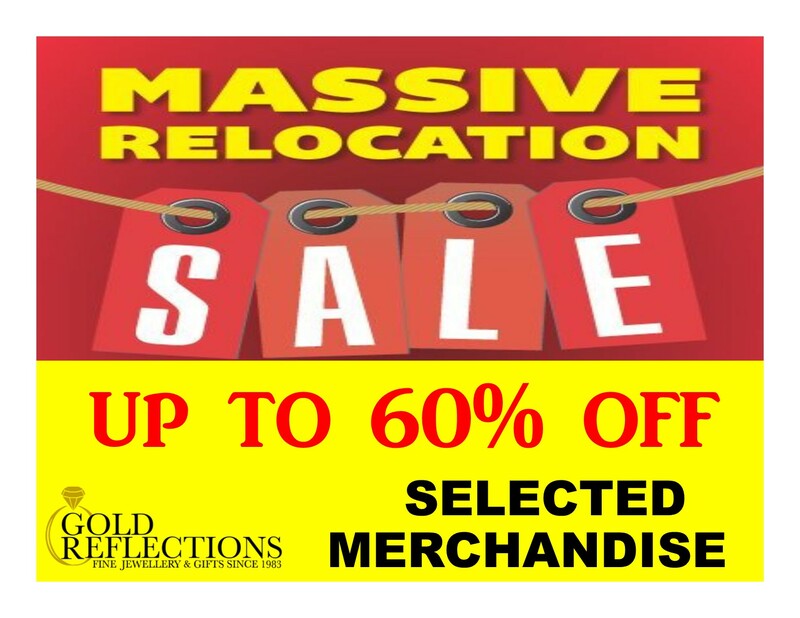 Should you require more information, please contact Gold Reflections at: 905 623 8164, or info@goldreflections.ca. 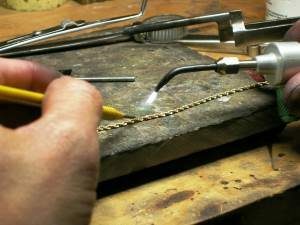 Are you paying too much for Jewellery Repairs? 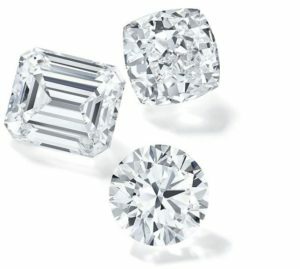 Lab-Grown Diamonds? Better than the Original? Making the Move to Newcastle in May 2019!